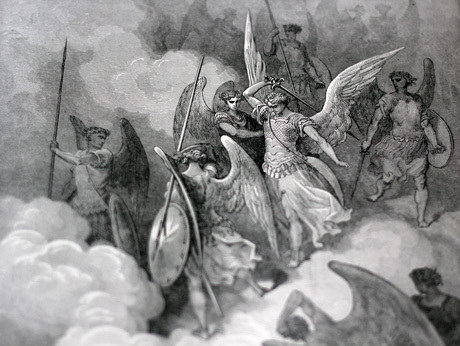 Gustave Doré (January 6, 1832 – January 23, 1883) was a famous French illustrator who produced some of the most remarkable book illustrations ever. He was very much sought after in his time, and most of his work was commissioned by publishers of the day. His engravings or illustrations usually depict scenes from famous classics such as Milton’s Paradise Lost, Dante’s Divine Comedy, the Bible, Rabelais, and Cervantes’ Don Quixote. Today, his illustrations have become very valuable, and even reprints are sold as loose sheets that have been separated from the books. Many collectors’ editions, such as books published by The Franklin Library and The Easton Press, contain these illustrations. Older editions, especially those printed 1900 and before, have become quite sought after, more for his engravings than for the content of these books.